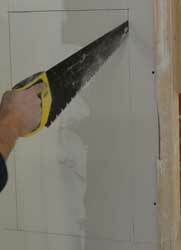 This tutorial shows how to build a nook in a new or existing drywall. , the back of the nook will be this existing rear wall. Cut the metallic studs at the desired dimensions for your nook. Prepare the rear metallic structure as per picture on the right. Fix it in the rear wall. Remove the Kinook blocks as they only served as a guide at this stage. 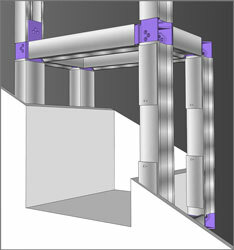 Prepare the vertical studs by inserting 2 long Kinook blocks in each studs and place a small Kinook block in each one. Verify levels. 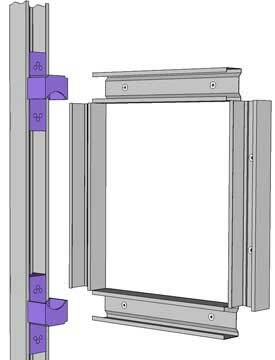 When correct, crimp small metallic tracks to secure the structure and create a support for the vertical panels. Check levels once more. 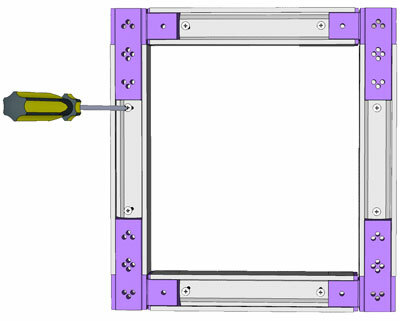 When correct, first, fix the inside vertical panels, and then the horizontal ones.